The article considers the phenomen of bipolarity of the concept Life/Death and peculiarities of its verbalisation in the early works of Leonid Andreev. The main puprose of this paper is to acknowledge and describe the way and means of the concept explication of the Life/Death concept and estimate of its bipolar nature. The importance of the paper is defined by the growing interest in to realising the cognitive structure of a certain kind - bipolar fictional concept whose text-creating role in the opposite discourse has not been studied enough. For Leonid Andreev this bipolar fictional concept is Life/ Death. As N.K. Mikhailovsky said “the fear of death, the fear of life... are as such axe-carved parts” which have become dominant for the “Russian Allan Poe”. This paper evaluates how the internal Conflict of the writer is transformed into a major bipolar concept. oppositional discourse, bipolar concept, fictional concept “Life/Death”, cultural linguistics. Alefirenko, N.F. (1999). Spornye problemy semantiki [Controversial Semantics]. Volgograd: Peremena Publ. (In Russ). Aketina, O.S. (2013). Kontseptual’nyi analiz khudozhestvennogo teksta i khudozhestvennyi kontsept. Vestnik Adygeiskogo gosudarstvennogo universiteta. Seriya 2: Filologiya i iskusstvovedenie [Conceptual analysis of artistic text and artistic concept. Bulletin of the Adyghe State University. Series 2: Philology and Art History]. 3, 3—8. (In Russ). Andreev, L.N. (1965). Literaturnoe nasledstvo. Gor’kii i Leonid Andreev: Neizdannaya perepiska [Literary heritage. Gorky and Leonid Andreev: Unpublished correspondence]. Moscow: Nauka Publ. (In Russ). Askol’dov (Alekseev), S.A. (1997). Kontsept i slovo [Concept and word]. Russian literature. From the theory of literature to the structure of the text. Anthology (pp. 267—279). Moscow: Academia Publ. (In Russ). Babushkin, A.P. (1996). Tipy kontseptov v leksiko-frazeologicheskoi semantike yazyka [Types of concepts in the lexico-phraseological semantics of the language]. Voronezh: Voronezh. gos. un-ta Publ. (In Russ). Bikmukhametova, R.M. (2013). Kontsepty «zhizn’» i «smert’» v russkom i bashkirskom yazykakh (na materiale paremiologicheskikh i frazeologicheskikh edinitsakh). Vestnik Chelyabinskogo gosudarstvennogo universiteta [Concepts of “life” and “death” in Russian and Bashkir languages (on the basis of paremiological and phraseological units). Bulletin of the Chelyabinsk State University]. 35 (326), 19—22. Chelyabinsk: Chelyabinskii gosudarstvennyi universitet Publ. (In Russ). Demetskaya, V.V. (October 18-20, 2007). Adaptatsiya v perevode: teoreticheskii aspekt [Adaptation in translation: theoretical aspect]. 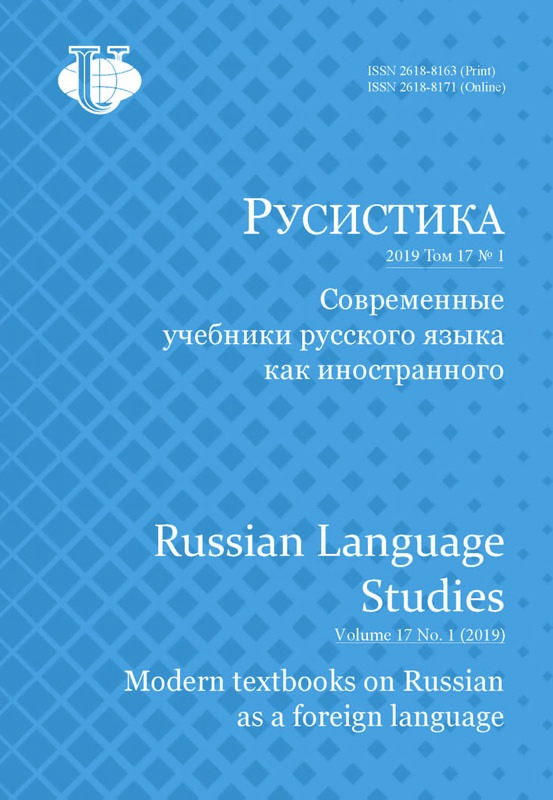 Proceedings of the IX International Scientific Conference on Translation Studies “Fedorov Readings” (pp. 25-26). Saint Petersburg: Fakul’tet filologii i iskusstv SPBGU Publ. (In Russ). Dzyuba, E.V. (2005). Kontsepty Zhizn’ i Smert’ v poezii M.I. Tsvetaevoi [Concepts of Life and Death in M.I. Tsvetaeva]. Political Linguistics. (pp. 181—189). Ekaterinburg: Ekaterinburg Publ. (In Russ). Zolotykh, L.G., Bocharnikova, I.V. (2012). Antinomicheskaya priroda kontsepta «Zhizn’». Vestnik Rossiiskogo universiteta druzhby narodov. Seriya: Russkii i inostrannye yazyki i metodika ikh prepodavaniya [The antinomic nature of the concept “Life”. Bulletin of the Peoples’ Friendship University of Russia. 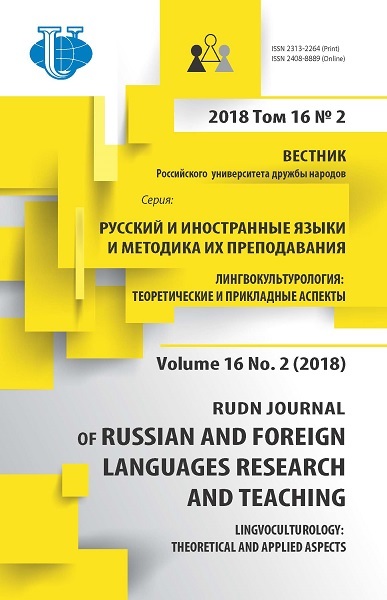 Series: Russian and foreign languages and methods of its teaching]. 3, 12—18. Moscow: Rossiiskii universitet druzhby narodov Publ. (In Russ). Inozemtseva, E. Pyanenkie. Images of alcoholics in Russian literature on the example of Marmeladov and Venichki. Retrieved July 17 2017 from: http://www.promegalit.ru/publics.php?id=9879. Ipanova, O.A. (2005). Kontsept «Zhizn’» v russkoi yazykovoi kartine mira [Concept “Life” in the Russian language picture of the world] (Dissertation kand. fil. nauk. Saint Petersburg). (In Russ). Karaulov, Yu.N. (1987). Russian language and language person. Moscow: Nauka Publ. (In Russ). Korneeva, E.V. (2004). Fenomen igry v tvorchestve Leonida Andreeva [The phenomenon of the game in the works of Leonid Andreev] (Dissertation kand. fil. nauk. Ekaterinburg). (In Russ). Krasnova, T.I. (2015). Fenomen oppozitivnosti gazetnogo diskursa russkogo zarubezh’ya 1917—1920 (22) gg. [The phenomenon of the opposition of the newspaper discourse of the Russian diaspora in 1917—1920 (22)]. [Author’s abstr. dok. fil. nauk]. Ekaterinburg. (In Russ). L’vov, M.R. (1984). Dictionary of the antonyms of the Russian language: 2000 antonym. pairs. Moscow: Rus. yaz. Publ. (In Russ). Mayakovskii, V.V. (2014). Stikhotvoreniya, poemy, stat’i 1912—1917. Moscow: Direkt-Media Publ. (In Russ). Miller, L.V. (2004). Kognitivnye mekhanizmy formirovaniya khudozhestvennoi kartiny mira (na materiale russkoi literatury) [Cognitive mechanisms of the formation of the artistic picture of the world (on the basis of Russian literature)]. [Author’s abstr dok. fil. nauk]. Saint Petersburg. (In Russ). Mikhailovskii, N.K. (2015). O L.N. Andreeve. Vospominaniya i issledovaniya [About L.N. Andreev. Memories and research]. Moscow-Berlin: Direkt-Media Publ. (In Russ). Mikheicheva, E.A. (2012). Fenomen samoubiistva v «rannem» tvorchestve L. Andreeva. Uchenye zapiski Orlovskogo gosudarstvennogo universiteta. Seriya: gumanitarnye i sotsial’nye nauki [The phenomenon of suicide in the “early” works of L. Andreev. Uchenye zapiski Orel State University. Series: Humanities and Social Sciences]. 149—154. Orel: Orlovskii gosudarstvennyi universitet Publ. (In Russ). Ozhegov, S.I., Shvedova, N.Yu. (1997). Dictionary of the Russian language: 80 000 words and phraseological expressions. Moscow: ONICS Publ. (In Russ). Orlova, E.G. (2013). Metodologiya i metodiki sovremennoi lingvokontseptologii. Vestnik Udmurtskogo universiteta. Seriya Istoriya i filologiya [ Methodology and methods of modern linguo-conceptology. Bulletin of the Udmurt University. A series of History and Philology]. 2,166—172. Udmurtiya: Udmurtskii universitet Publ. (In Russ). Osipova, A.A. (2012). Kontsepty «Zhizn’» i «Smert’» v khudozhestvennoi kartine mira V.P. Astaf’eva [Concepts “Life” and “Death” in the art picture of the world. Astaf’eva]. Moscow: Flinta Publ. (In Russ). Ping Li, Dzhian & Cherntsova, E.V. (2010). Kontsepty Zhizn’ i Smert’ v russkom yazyke. Visnik Kharkivs’kogo natsional’nogo universitetu im. V.N. Karazina. Ser. : Fіlologіya [Concepts of Life and Death in Russian. Bulletin of the Kharkiv National University. VN Karazin Sir: Philology]. 60, 14—119. Kharkiv: Kharkivs’kii natsional’nalniy universitet Publ. (In Russ). Popova, Z.D. & Sternin, I.A. (2002). Essays on cognitive linguistics. Voronezh: Istoki Publ. (In Russ). Prokhorova, O.N. & Chekulai, I.V. (2006). Kontsepty ZHIZN’’ i SMERT’’ kak otrazhenie vysshikh tsennostei v yazyke i rechi [Concepts LIFE and DEATH as a reflection of higher values in language and speech]. Unity of the systemic and functional analysis of linguistic units: materials of the international. sci. conf (pp. 209—2016). Belgorod: belgorodskii gos. uni. Publ. (In Russ). Stepanov, Yu.S. (1997). Constants. Dictionary of Russian culture. Experience of research. Moscow: Shkola “Yazyki russkoi kul’tury” Publ. (In Russ). Ufimtseva, N.V. (2002). Kul’tura i problema zaimstvovaniya [Culture and the Problem of Borrowing]. Meetings of Ethnic Cultures in the Mirror of the Language: In a comparative linguocultural aspect (pp. 152—170). Moscow. (In Russ). Ushakov, D.N. (2013). Explanatory dictionary of the modern Russian language. Moscow: Adelant Publ. (In Russ). Khairullina, D.D. (2009). Binarnye kontsepty “Ogon’” i “Voda” kak fragment yazykovoi kartiny mira [Binary concepts “Fire” and “Water” as a fragment of the language picture of the world] (Dissertation kand. fil. nauk. Kazan’). (In Russ). Pearsall, J. & Trumble, B. (2002). Oxford English Reference Dictionary. London: Oxford University Press. (In Eng). Garzanti italiano (Italian Language) (2004). Milano: Garzanti linguistica (In Italian). Copyright (c) 2018 Prochorova A.V.